The Knuckleheads did not even have that name in the beginning. Over the years, many changes have taken place including some of the core participants. So, here it is in a nutshell. “The Insane Darrell Wayne and The Knuckleheads” reflects back on a purer time in radio. A time where the listener could tell there was some storytelling going on. Song selections were purposeful. There was a reason radio personalities and the audience were going to spend some time together. 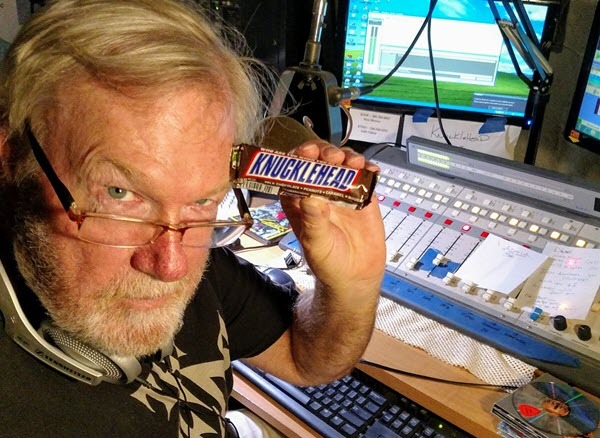 As the last progressive radio program director in Los Angeles at the now world-famous KROQ the Insane Darrell Wayne is condensing down to 3 hours a week what was once done 24/7. It’s unexpected; new; old; familiar; unfamiliar; funny; sad; loud; quiet. And never boring or run of the mill. A Grants, New Mexico convenience store operator who asked our KDSK AM/FM owner, “Who are those Knuckleheads on the air Wednesday night?” Gets credit for naming the show. It fit and we accept. The Knuckleheads are The Insane Darrell Wayne, Gary “The Bomber” Bombalicki, Josh Lane, Kelly Cox, and John Van Camp—disruptive radio at its best. Have you heard The Knuckleheads on the airwaves?